Salt — the oldest spice and so much more! Experience the textures, colors and flavors of authentic artisan salts from around the world. 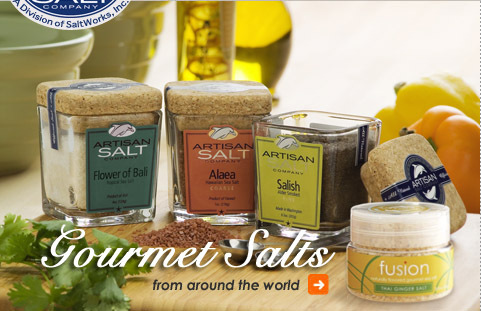 Artisan Salt Company® certifies both the origin and quality of all our premium sea salts. If it bears the Artisan® Seal of Authenticity, you can be sure it is the very best salt available. Try Artisan salts and taste the difference. Visit SaltWorks to purchase Artisan sea salt online. Lightly salted soybean appetizer. Healthy 15 minute recipe sure to be a hit.